This is the new #55WordChallenge. Beginning Wednesday, I will post a new photo prompt. Pick your photo and write a story in #55Words or less. There is going to be one major difference... you don't need to post in the comment section. Post on your blog, (be sure to share a link to the #55WordChallenge in the post,) share the link in the comment section of the weekly prompt, then share to twitter with the hashtag, #55WordChallenge. 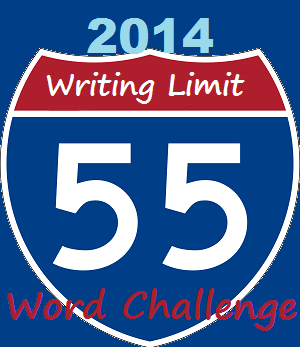 Each Wednesday I will then post the three winning stories on the #55WordChallenge blog, as well as the new prompt. If you don't have a blog, you may post your story in the comment section. If you would like to help administrate, let me know and I will add you to the blog, that way if something happens and I get busy, someone will be there to jump in. Since I fell behind and I have a past contest not judged yet, I will announce those winners this Wednesday when I post the new prompt. I don't see an option to follow this blog, Lisa! ? ?